Its record in the third quarter is further evidence. Present in over 40 countries, Netflix collects a total of 53.06 million subscribers. If it is built now on international expansion, giant SVOD meets in the United States 37.22 million subscribers. An impressive figure that displeased the American channels. However, some TV companies have reacted to counter Netflix on its own turf. These are large companies CBS and HBO, which just unveiled their new offerings this week. First, CBS introduced its streaming service, called "CBS All Access." Already accessible, it allows for a monthly subscription of 5.99 dollars, view programs including series, whose episodes are available the day after broadcast. All Americans can access the programs of local channels CBS television series that currently have a great success, such as "The Good Wife" and "Blue Bloods", and thousands of episodes of cult series, including "Twin Peaks "and" Star Trek. " Moreover, the HBO group will expand access to its range of SVOD, "HBO Go," which is currently reserved for subscribers to the cable channel. From 2015, it will be publicly available on subscription via the internet. The group has not provided details, but it should appeal to many Americans attracted by the many successful TV series from HBO, such as "The Sopranos" and "Game of Thrones." 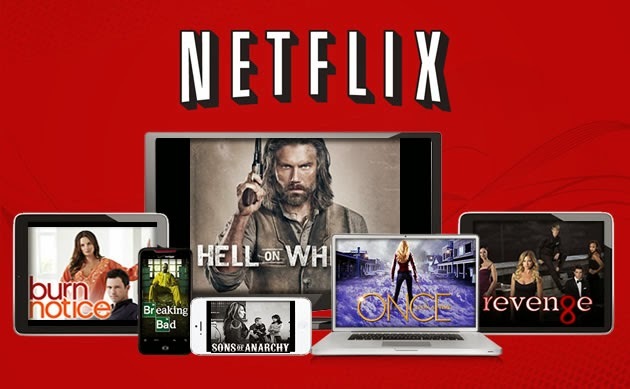 The great American bands of TV are determined to fight Netflix on its own ground, but also that of other players such as Amazon. With strong, diversified and successful series programs, they might worry Netflix. Not to mention that HBO and CBS are becoming available to consumers who have an internet subscription, but no TV or cable subscription.